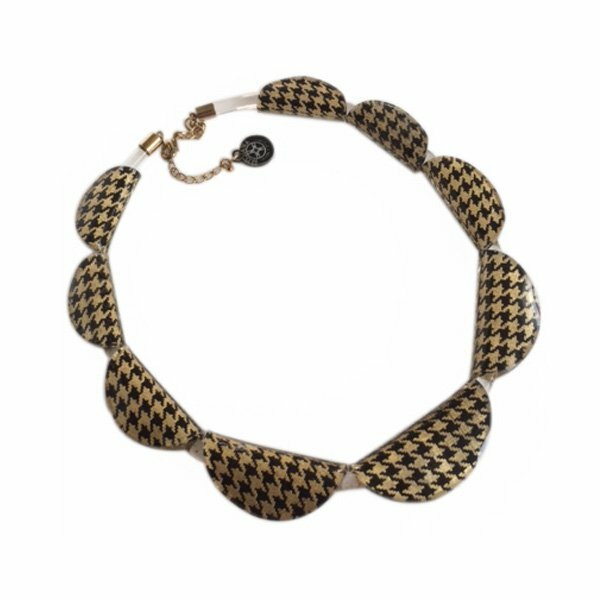 Yellow and pearl silver white patent leather necklace featuring black accented edges. 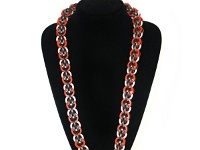 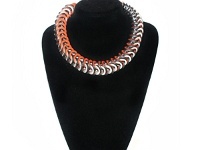 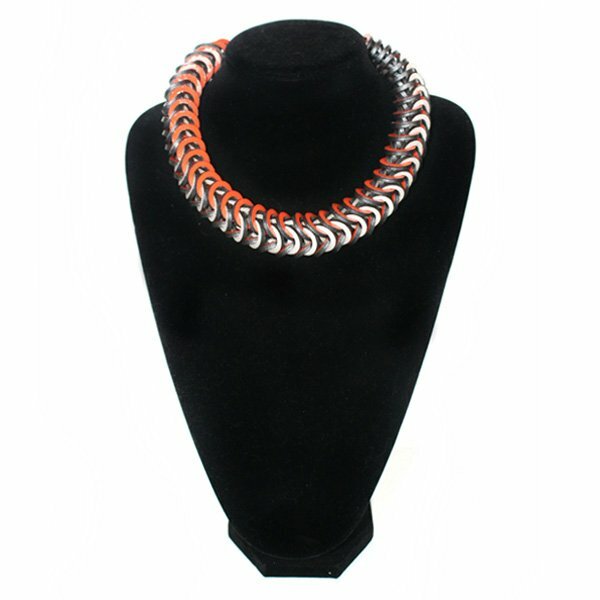 Orange and pearl silver white patent leather necklace featuring black accented edges. 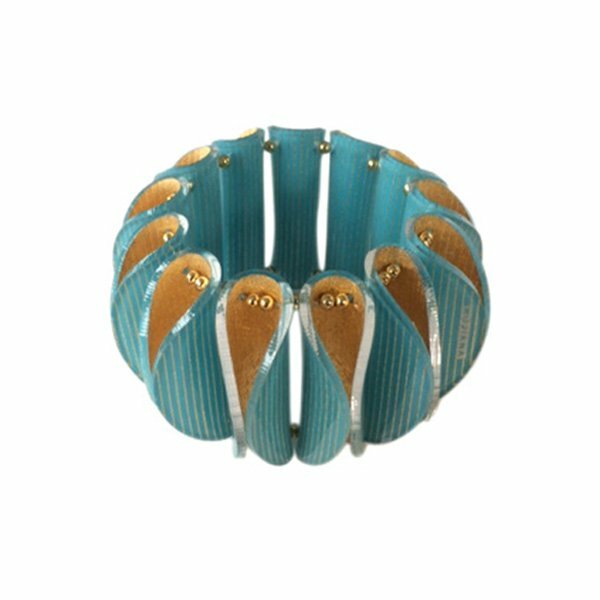 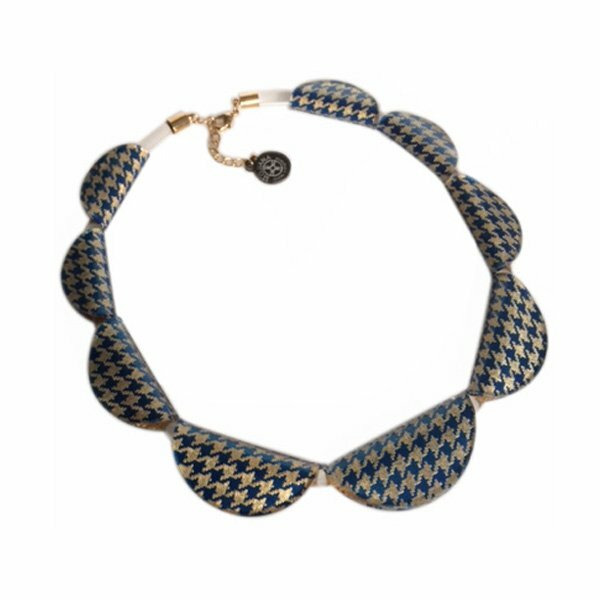 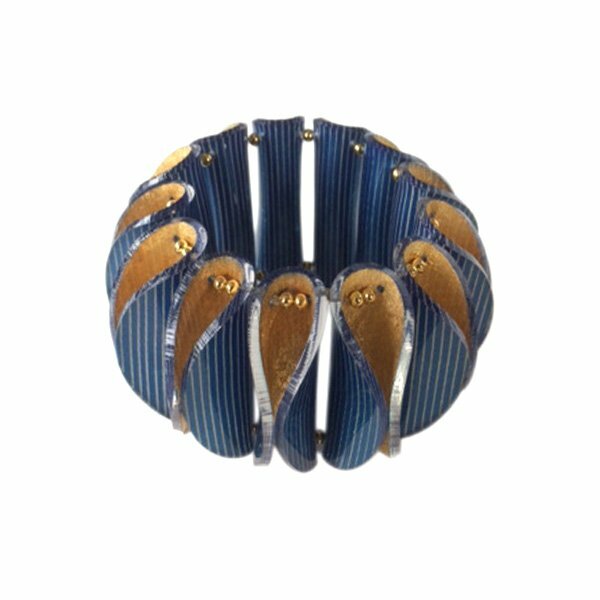 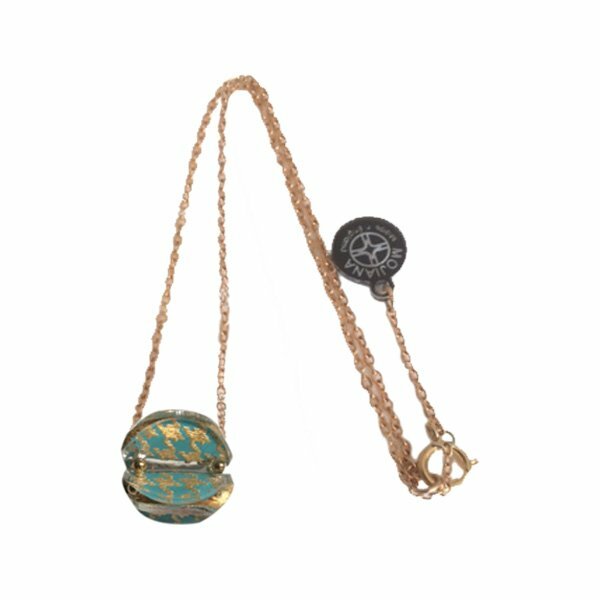 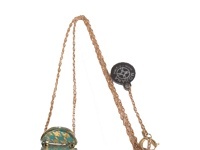 Blue and metallic brown patent leather necklace, featuring black and antique gold accented edges. 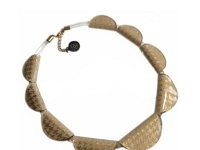 Olive gold and pearl silver white patent leather necklace featuring black accented edges. 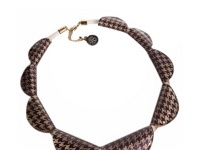 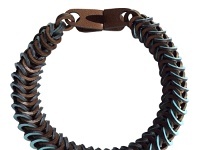 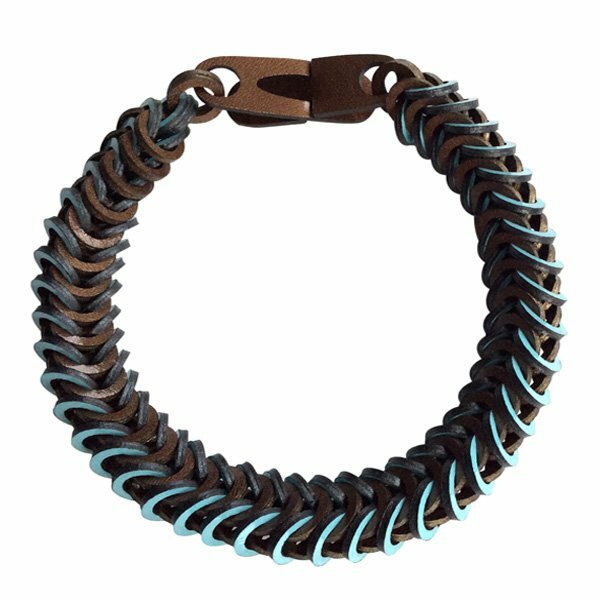 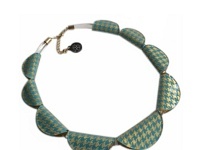 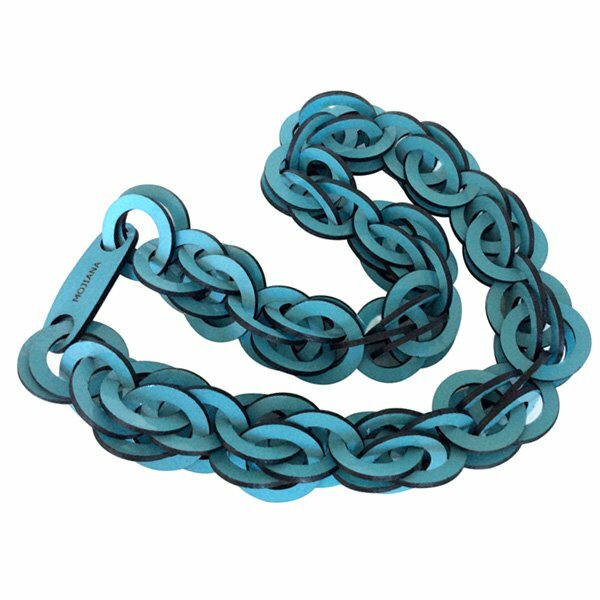 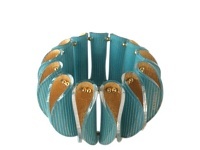 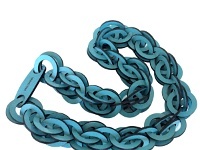 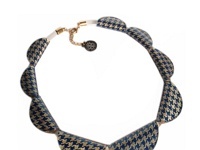 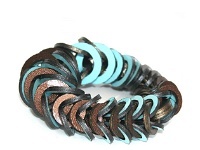 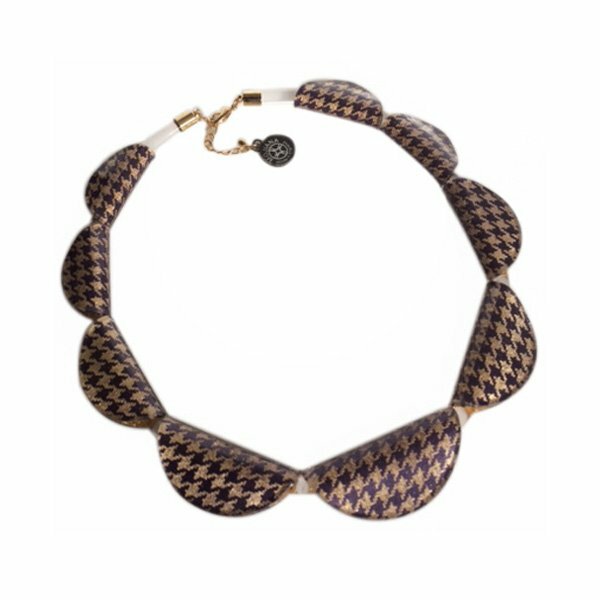 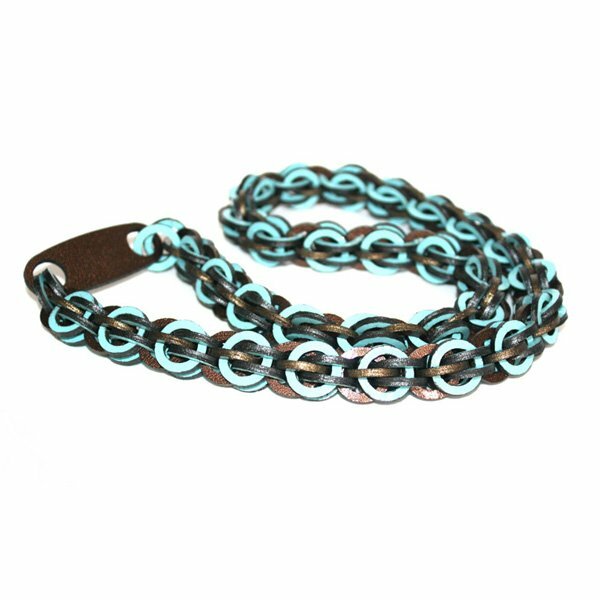 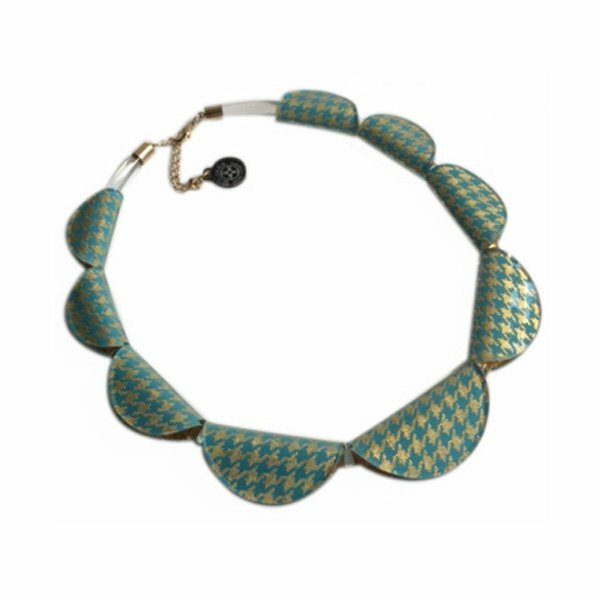 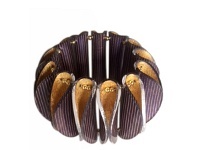 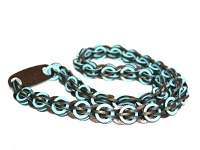 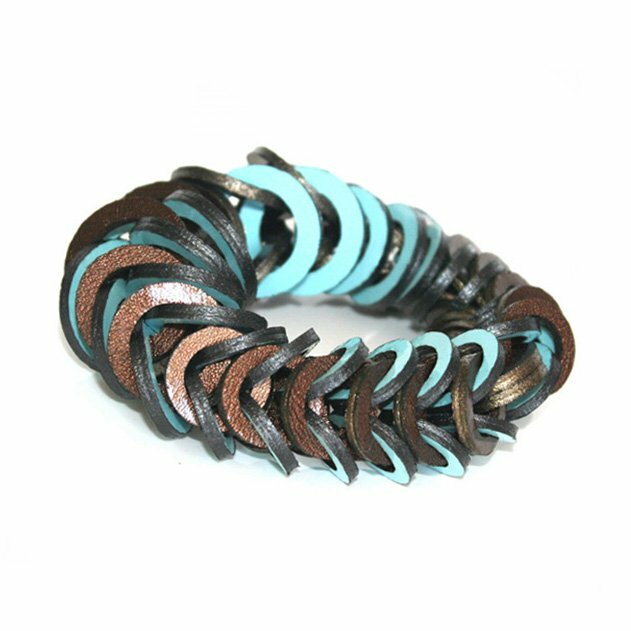 Blue and metallic brown patent leather necklace featuring black accented edges. 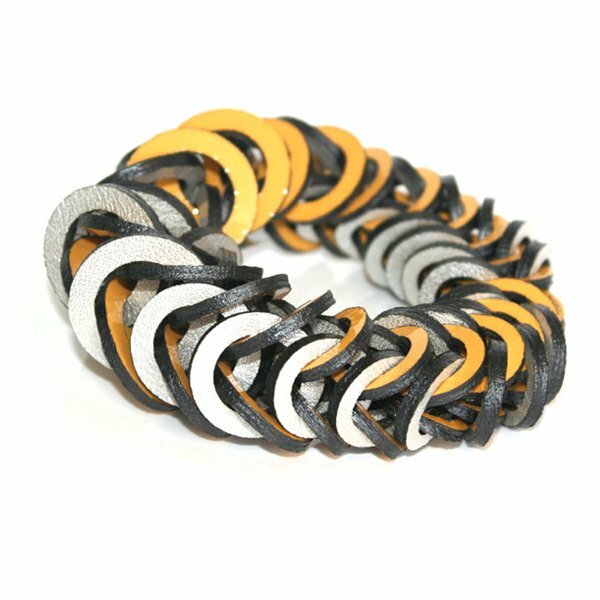 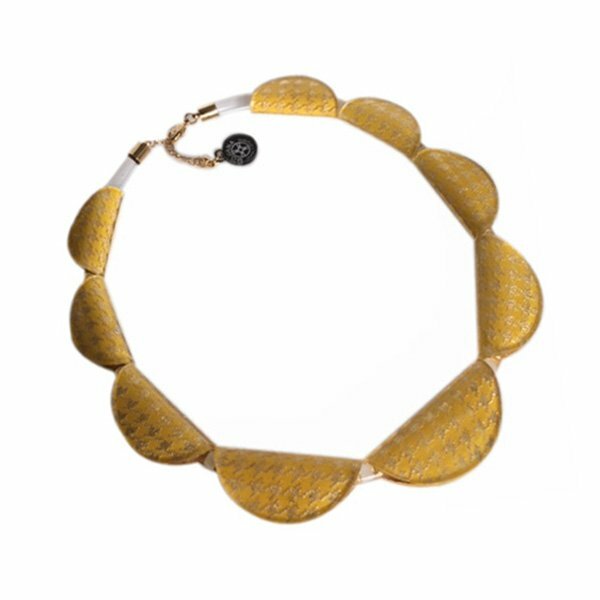 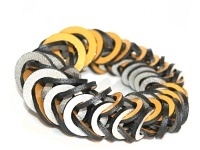 Yellow patent leather necklace featuring black accented edges. 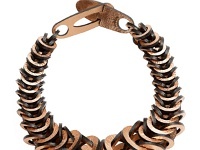 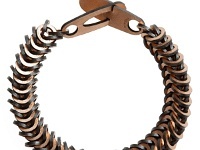 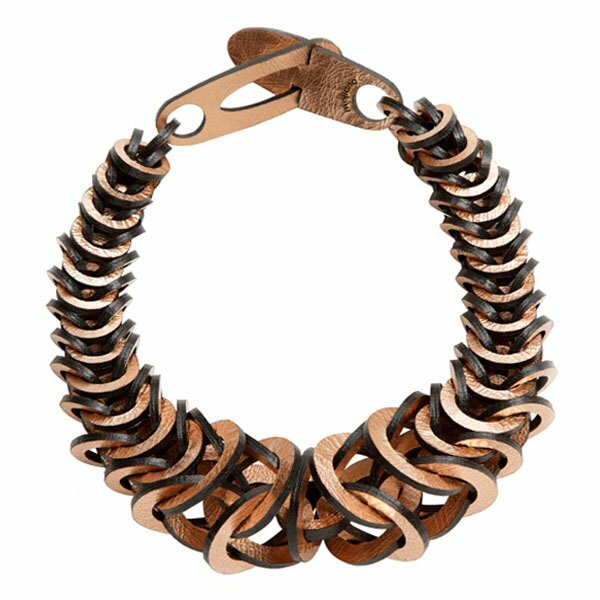 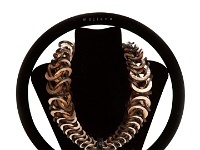 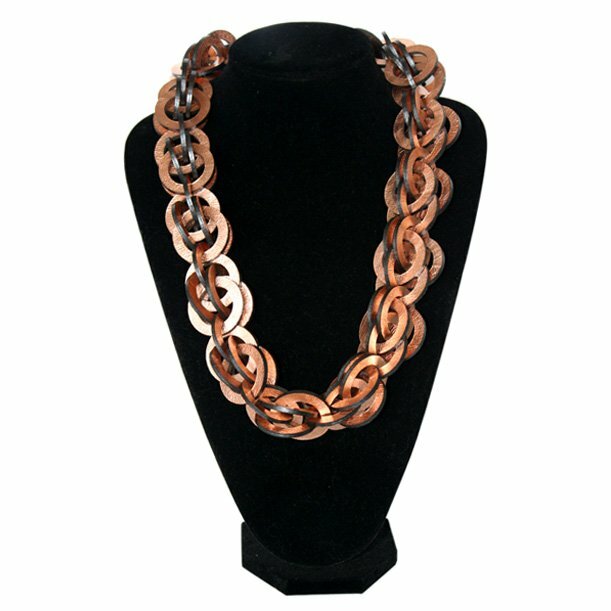 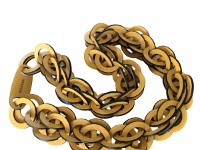 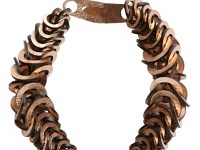 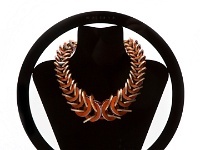 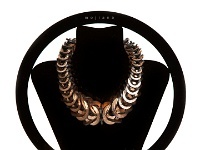 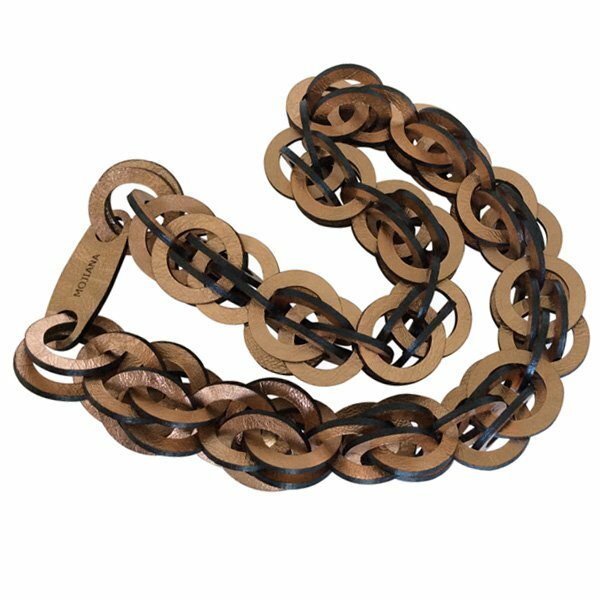 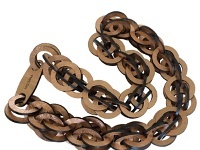 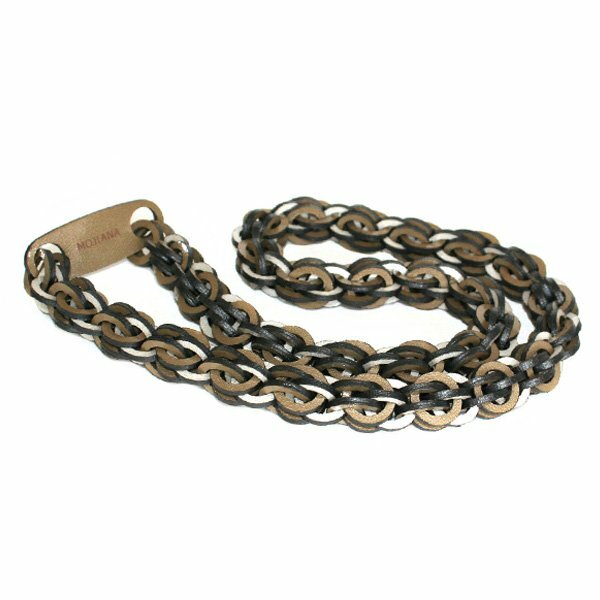 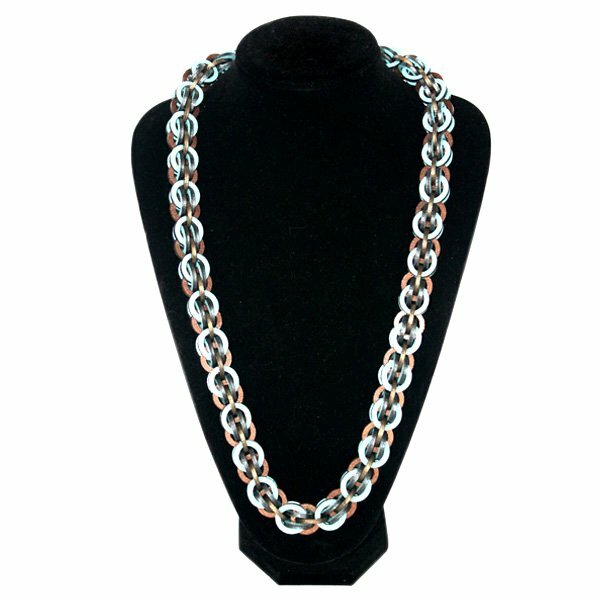 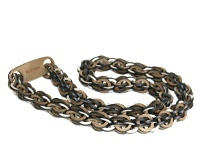 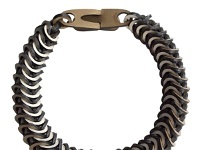 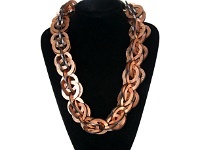 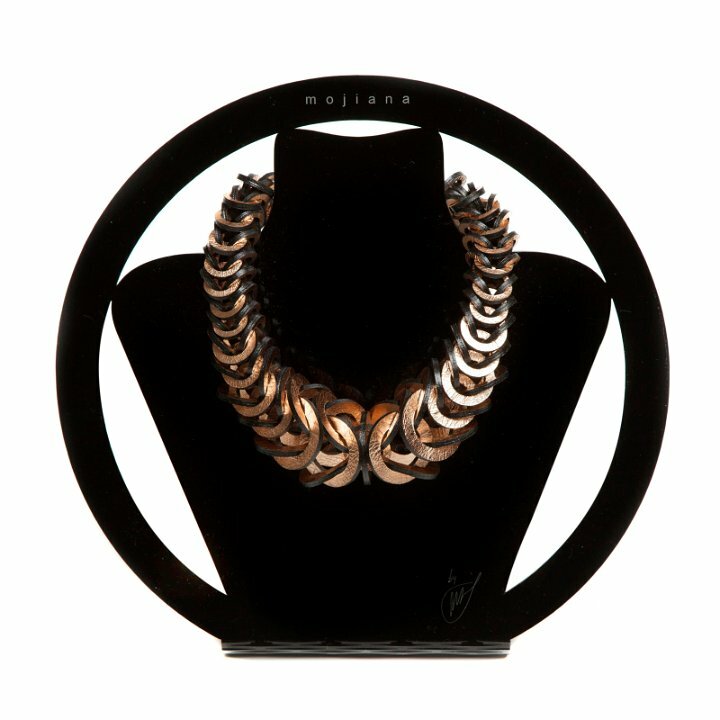 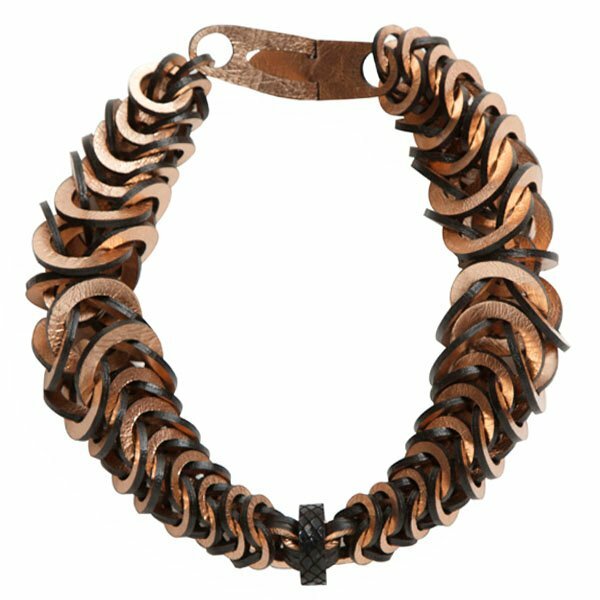 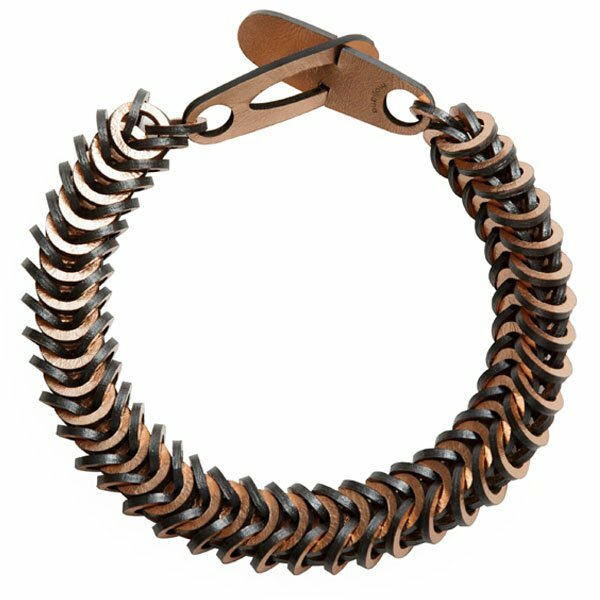 Rose gold patent leather necklace featuring black accented edges. 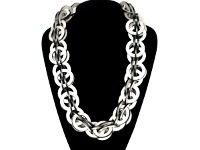 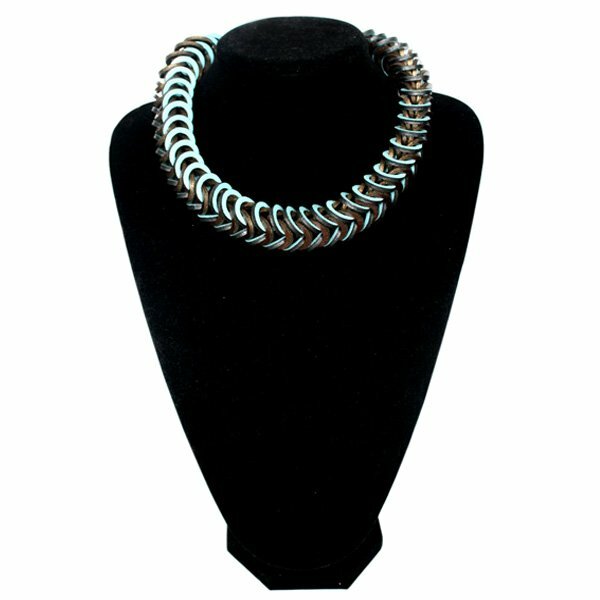 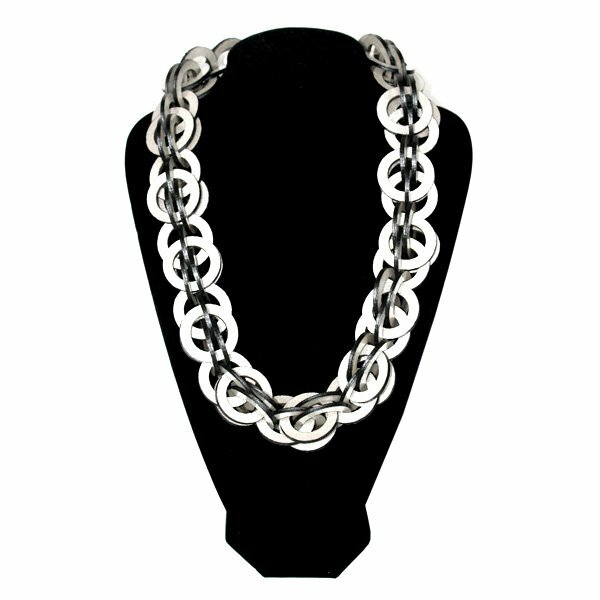 Pearl silver white patent leather necklace featuring black accented edges. 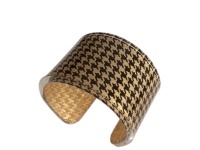 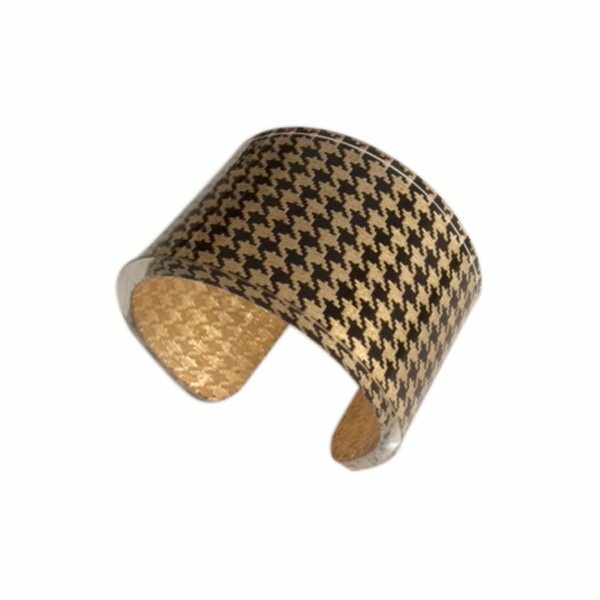 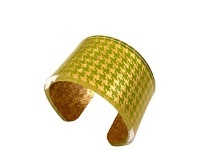 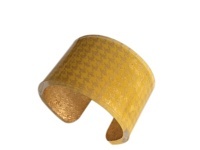 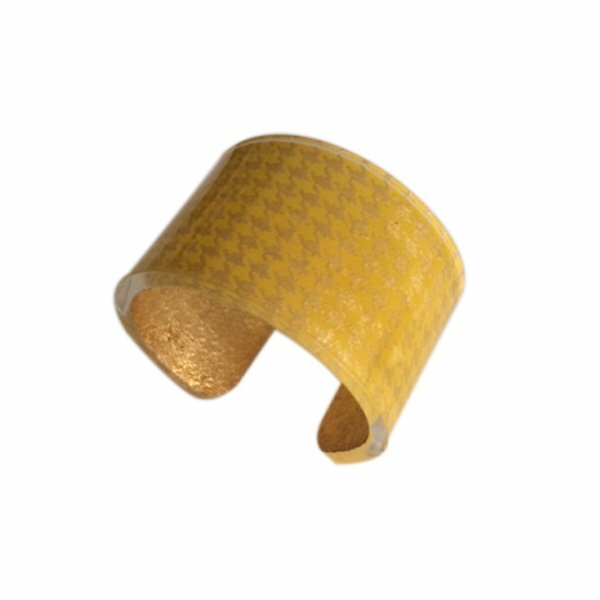 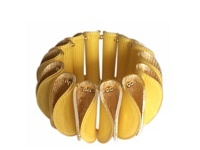 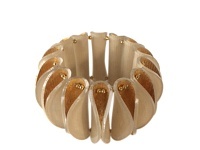 Handcrafted from yellow and pearl silver white patent leather, featuring black accented edges. 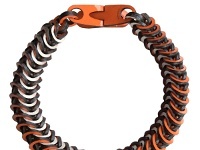 Handcrafted from orange and pearl silver white patent leather, featuring black accented edges. 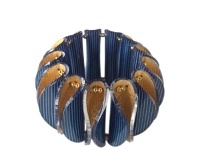 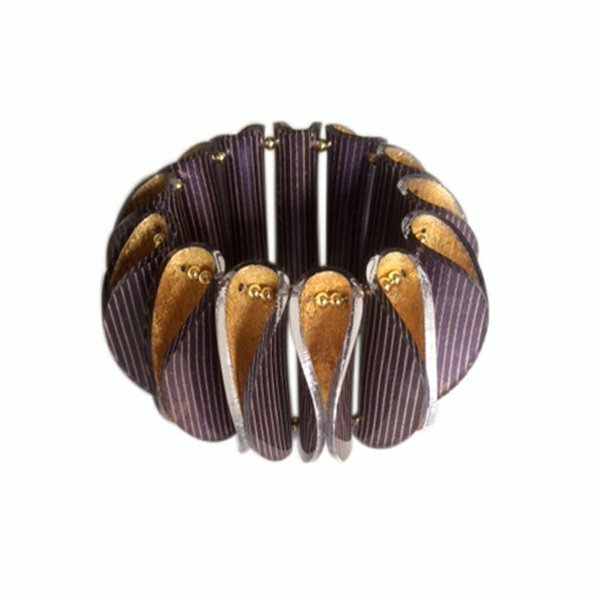 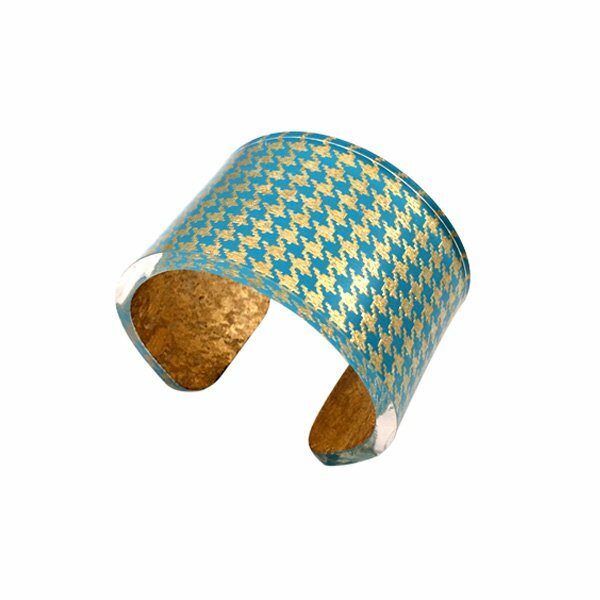 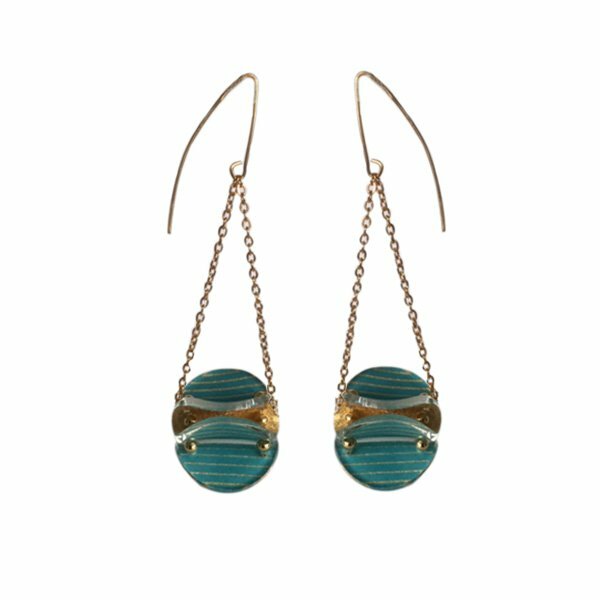 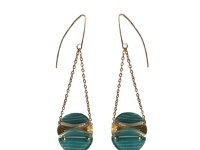 Handcrafted from blue and metalic brown patent leather, featuring black and antique gold accented edges. 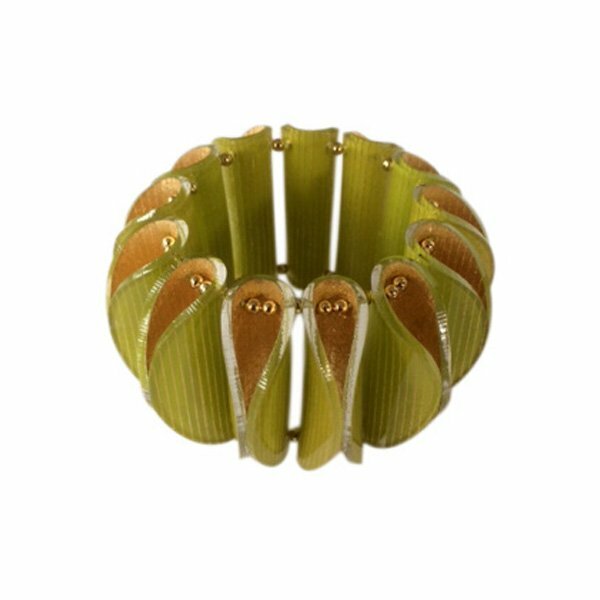 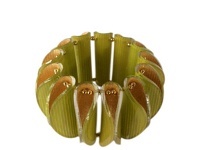 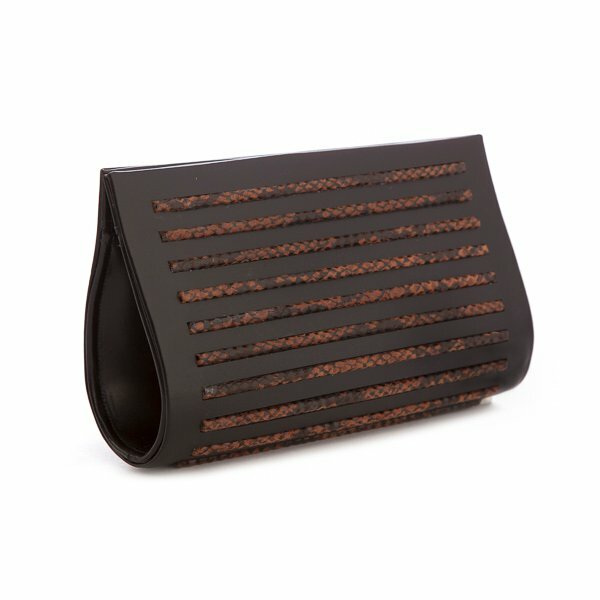 Handcrafted from olive gold and metalic brown patent leather featuring black accented edges. 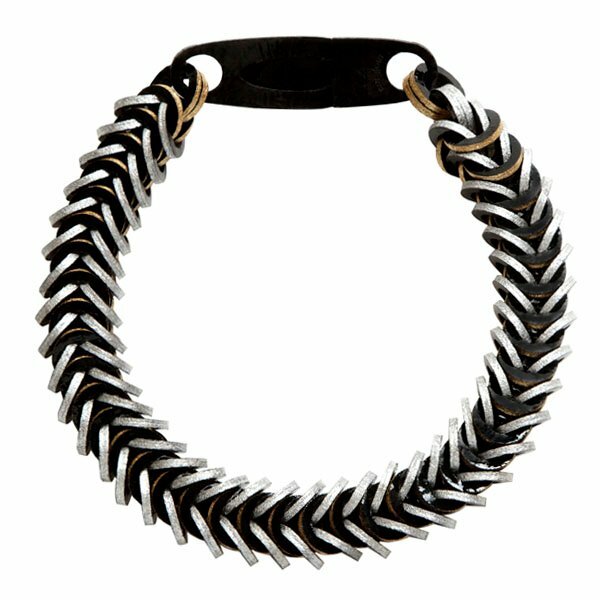 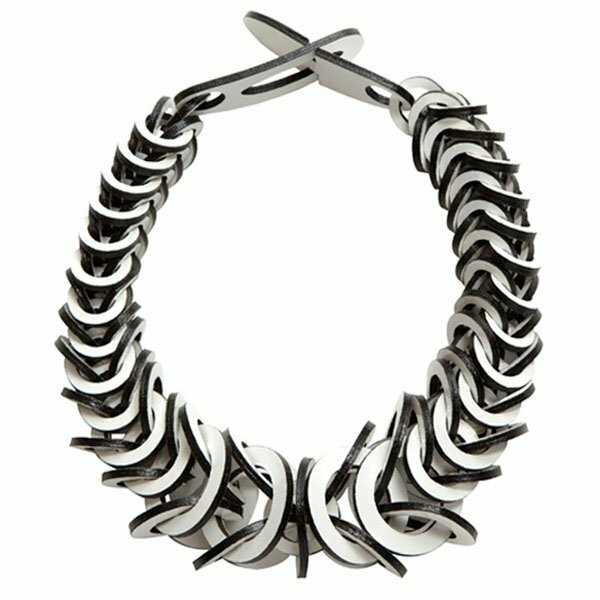 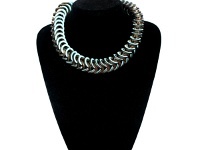 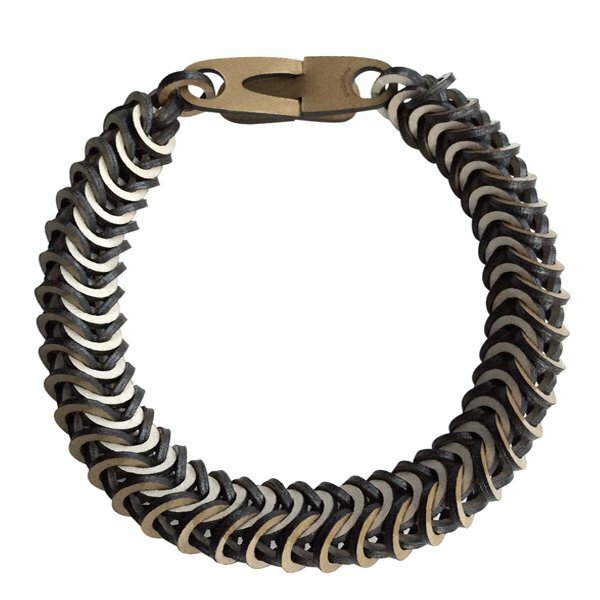 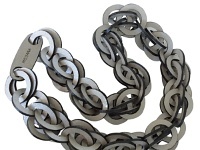 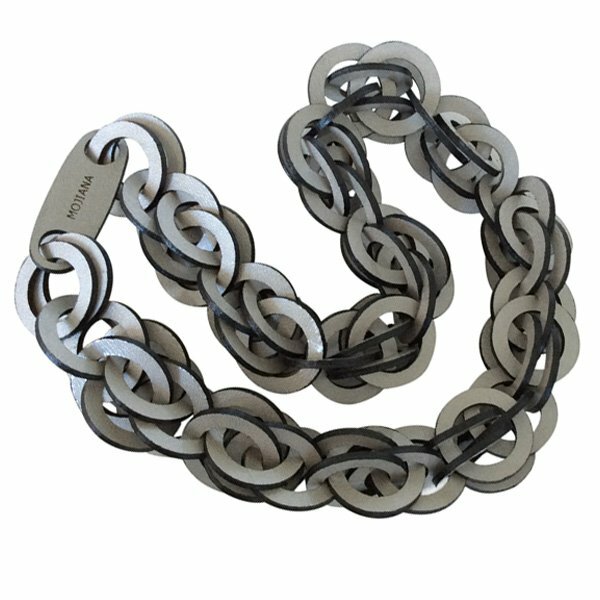 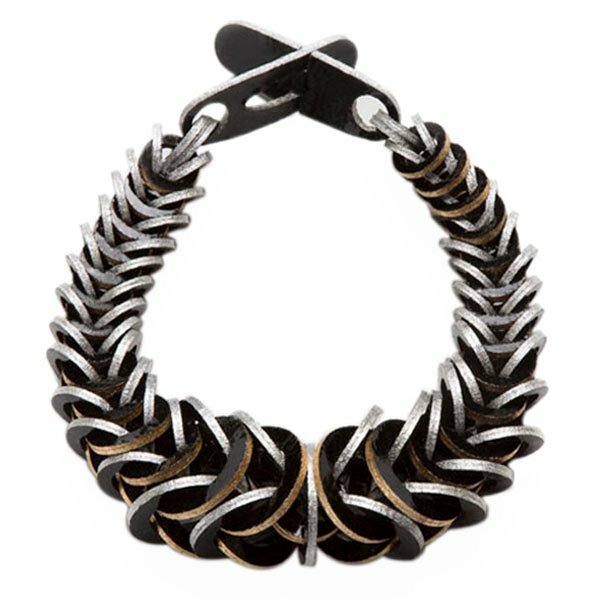 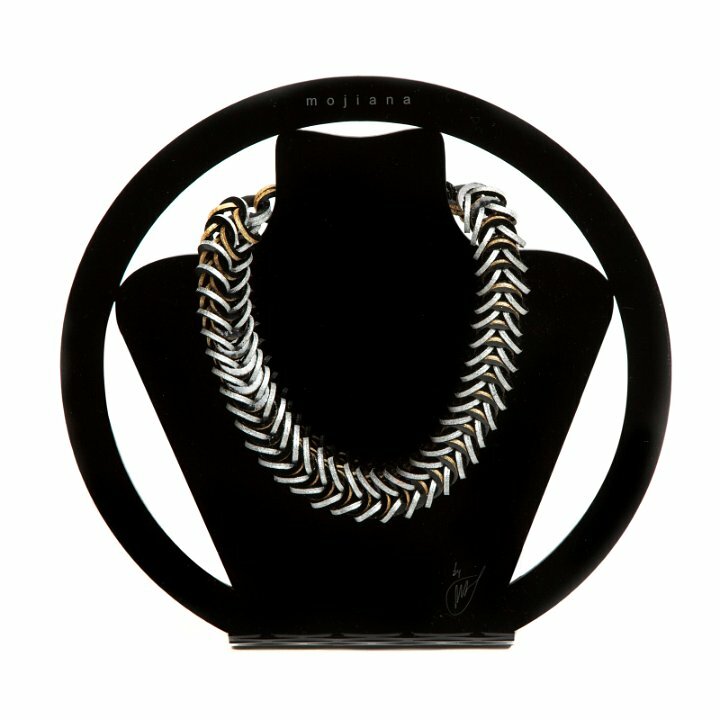 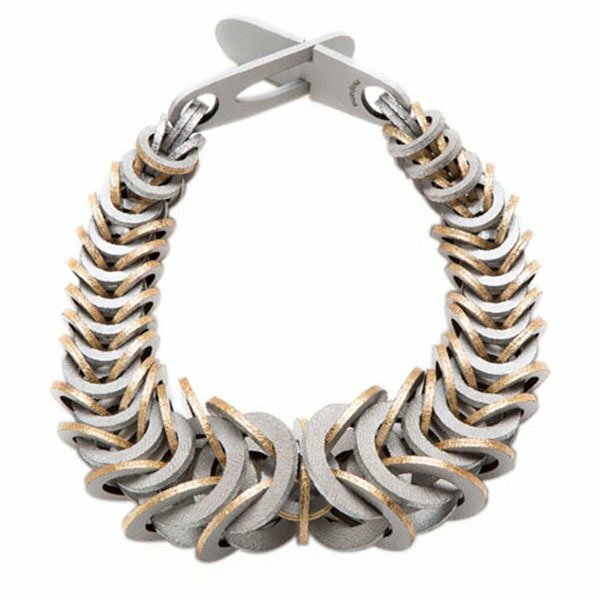 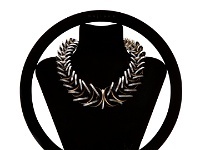 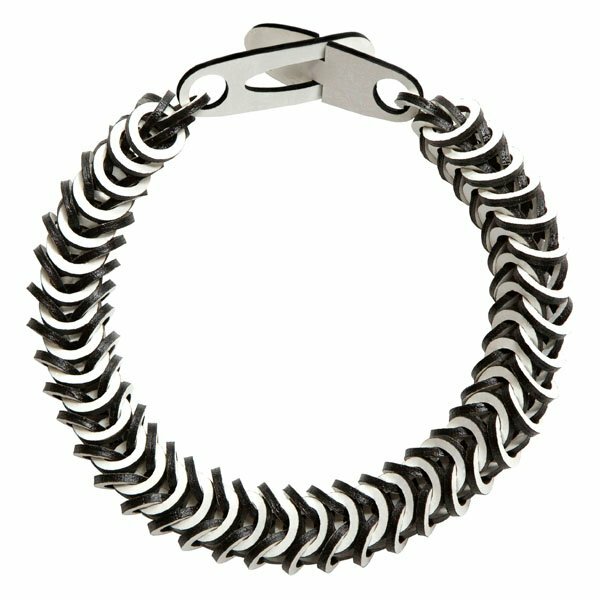 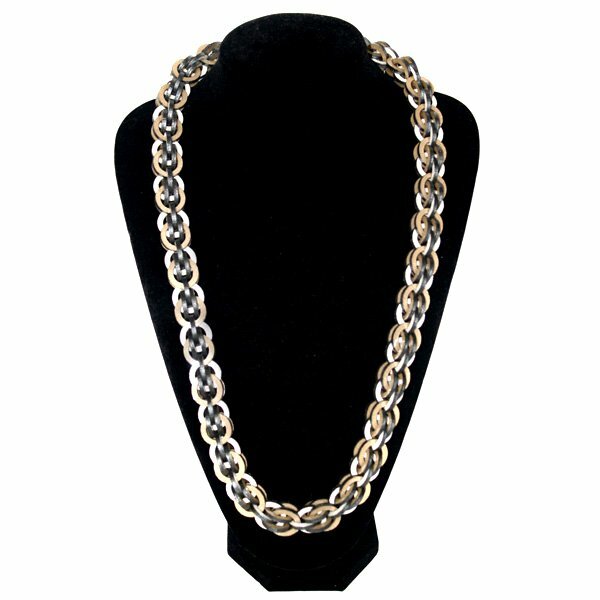 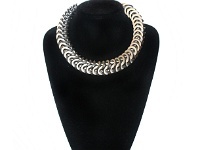 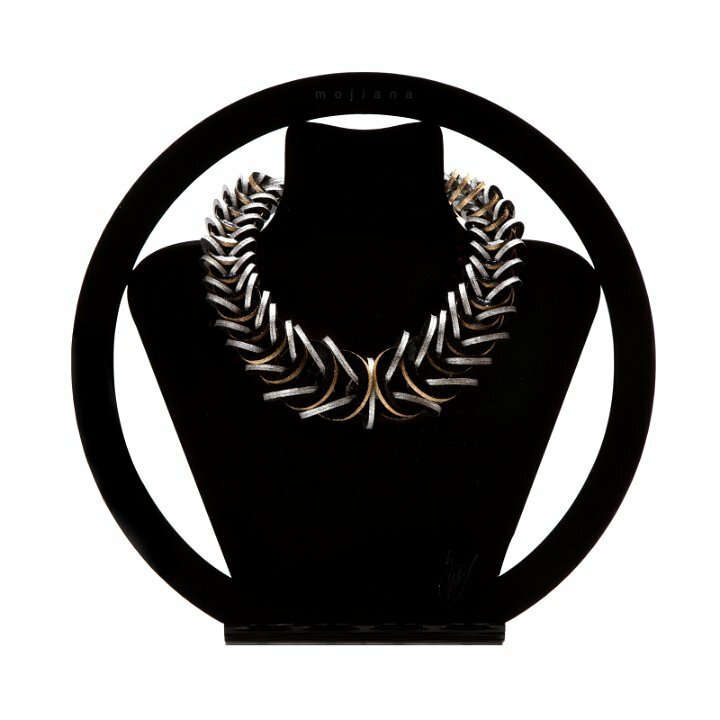 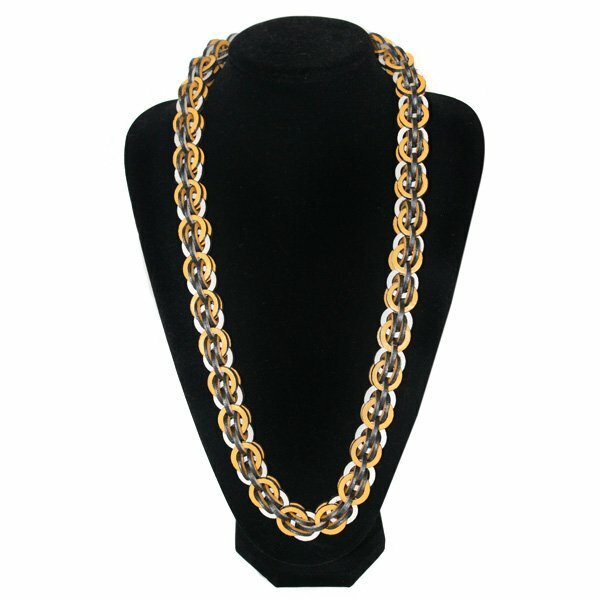 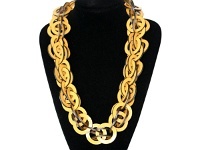 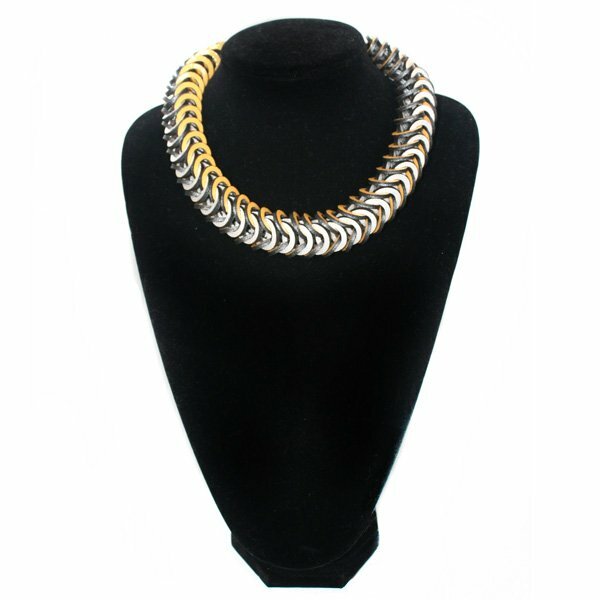 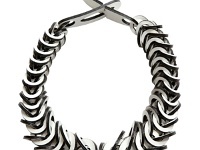 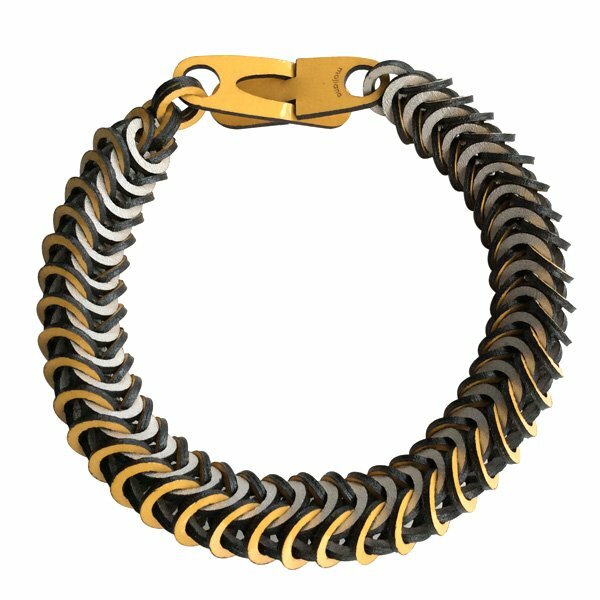 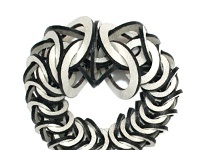 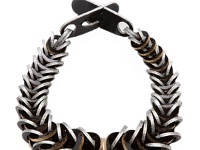 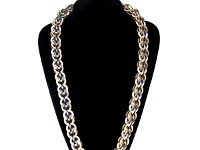 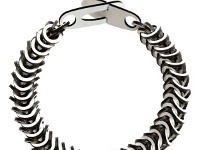 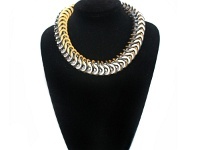 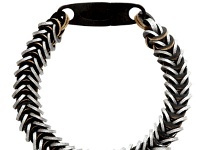 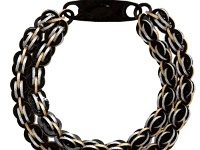 Black patent leather necklace featuring gold and silver accented edges. 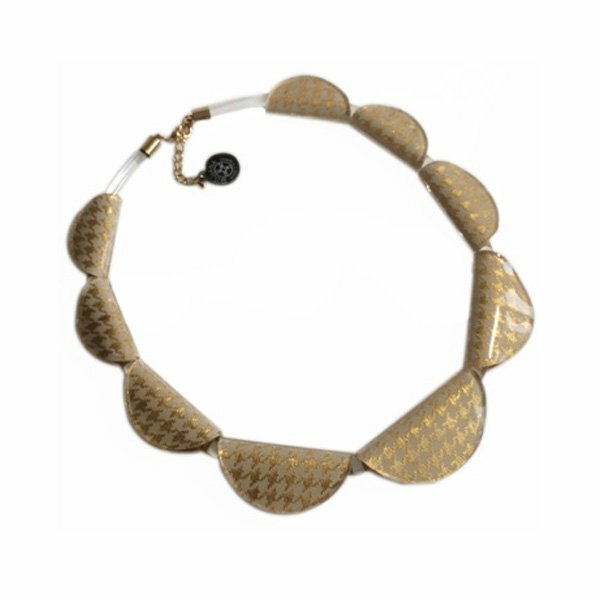 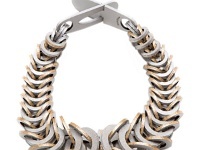 Pearl silver white patent leather necklace featuring gold and silver accented edges. 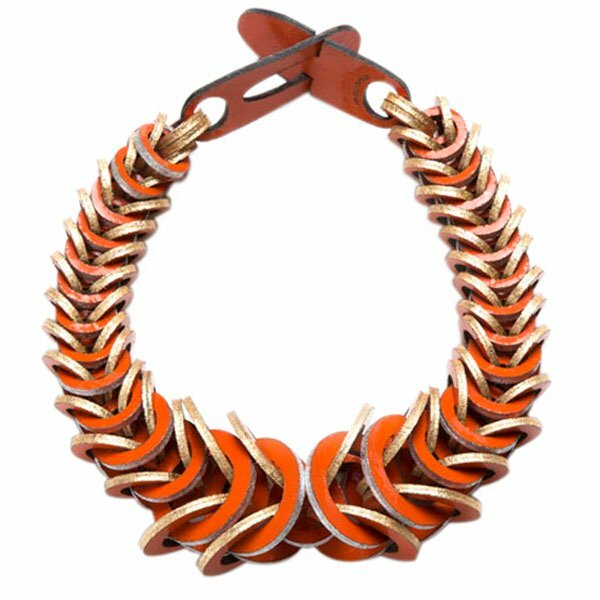 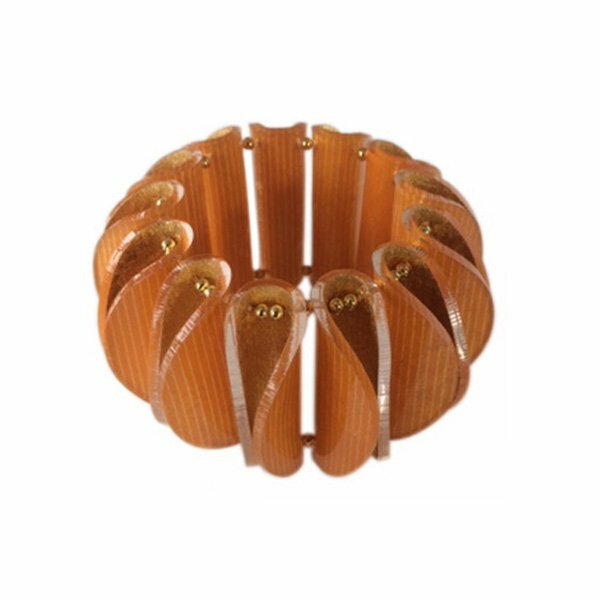 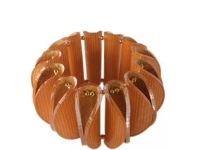 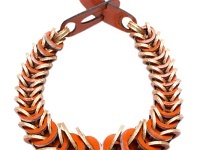 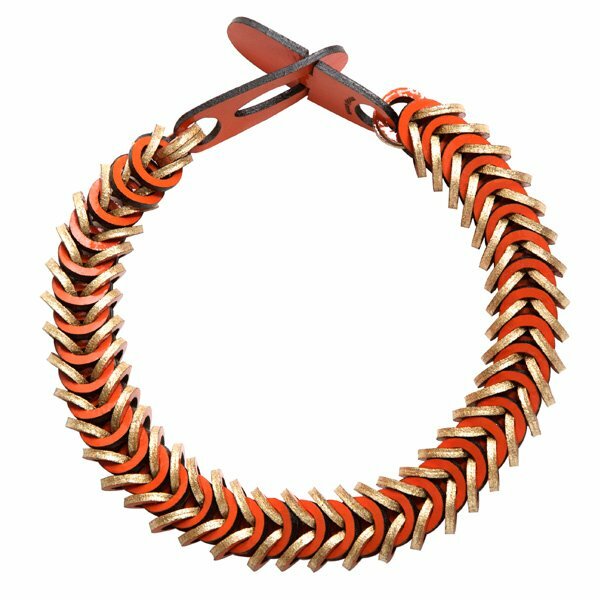 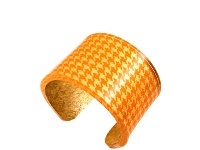 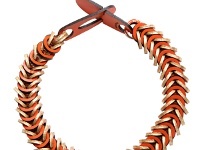 orange patent leather necklace featuring gold and silver accented edges. 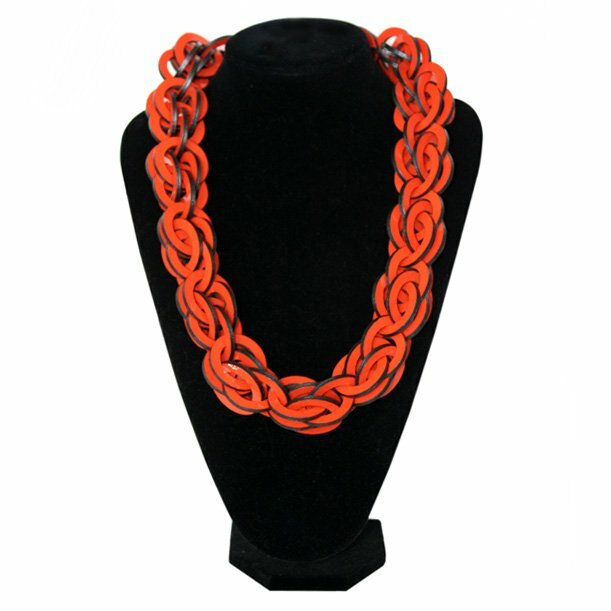 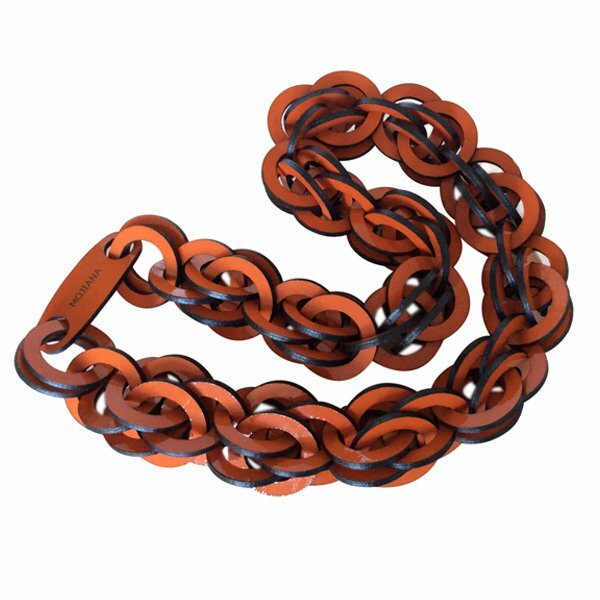 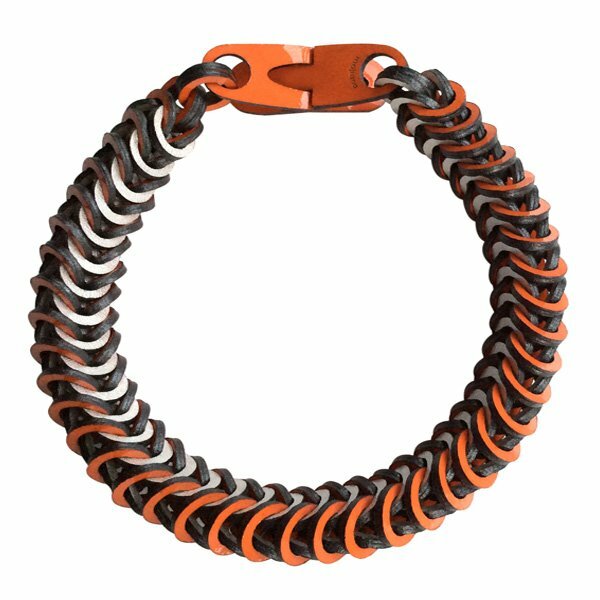 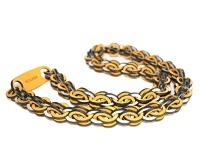 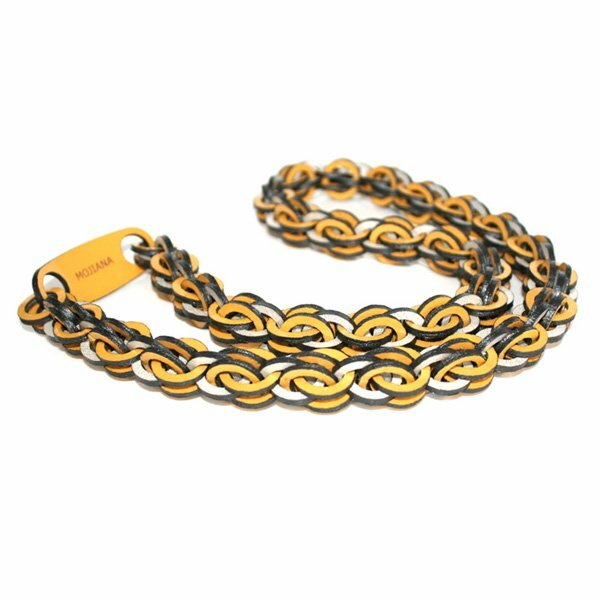 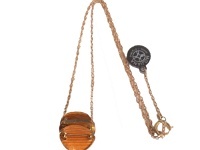 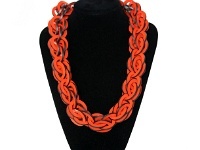 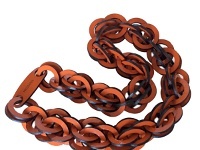 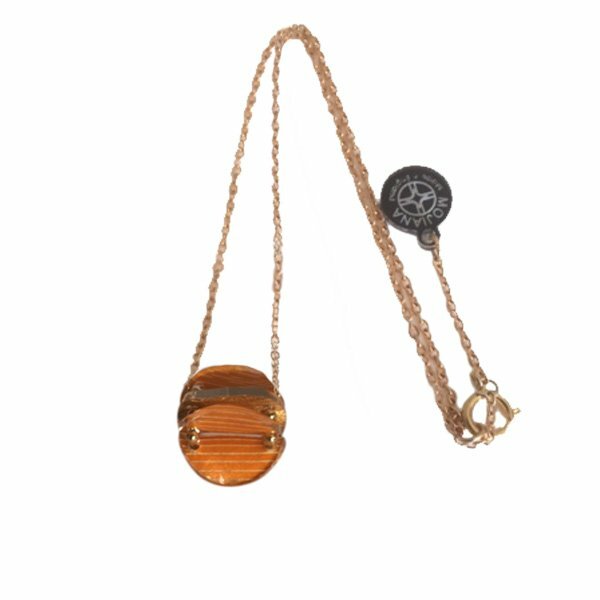 Orange patent leather necklace featuring gold and black accented edges. 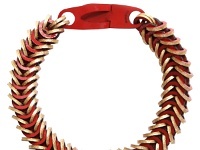 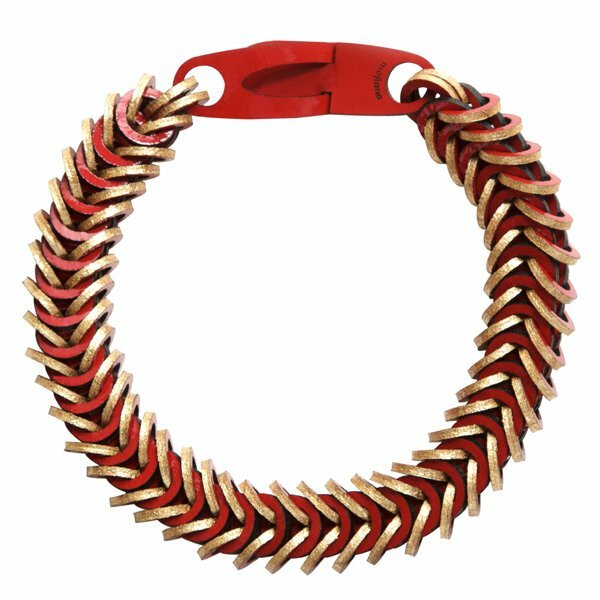 Red patent leather necklace featuring gold and silver accented edges. 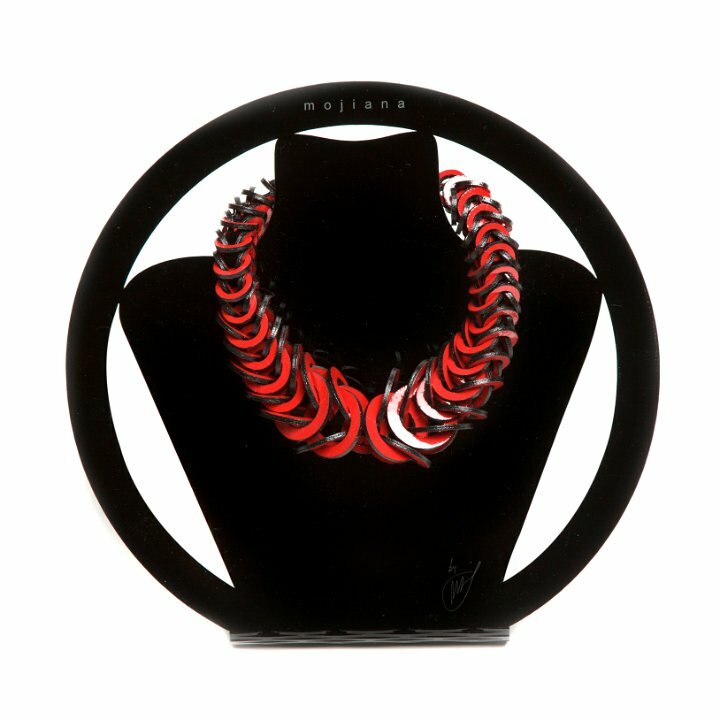 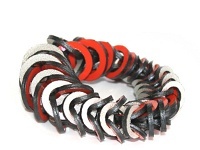 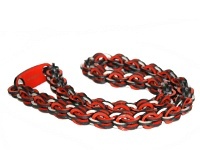 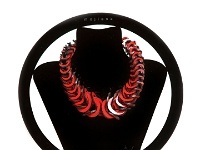 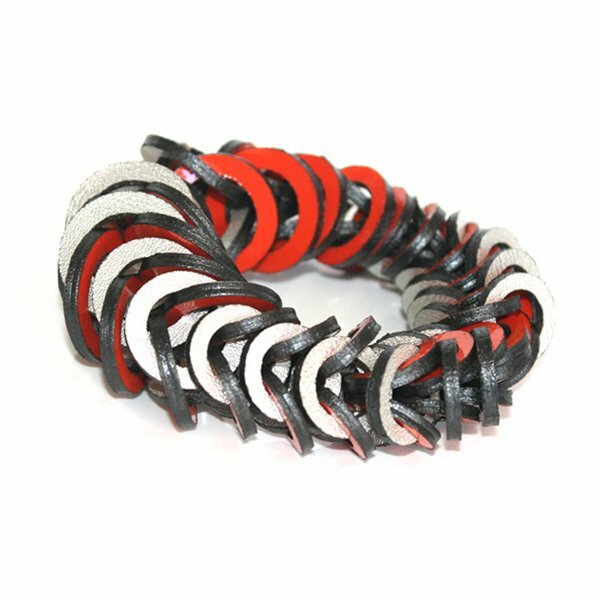 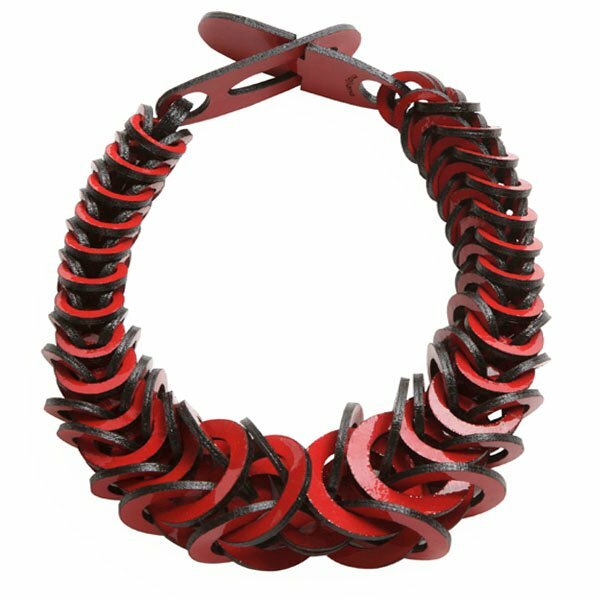 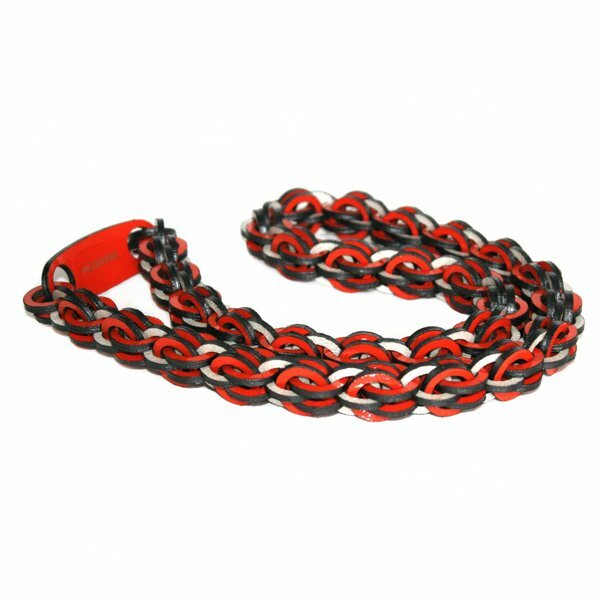 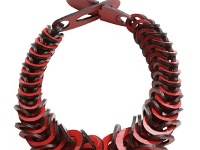 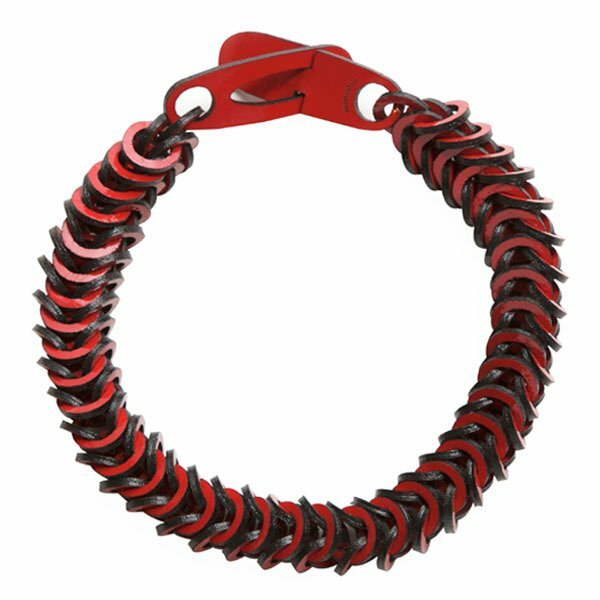 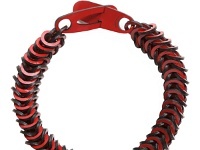 Red patent leather necklace featuring black accented edges. 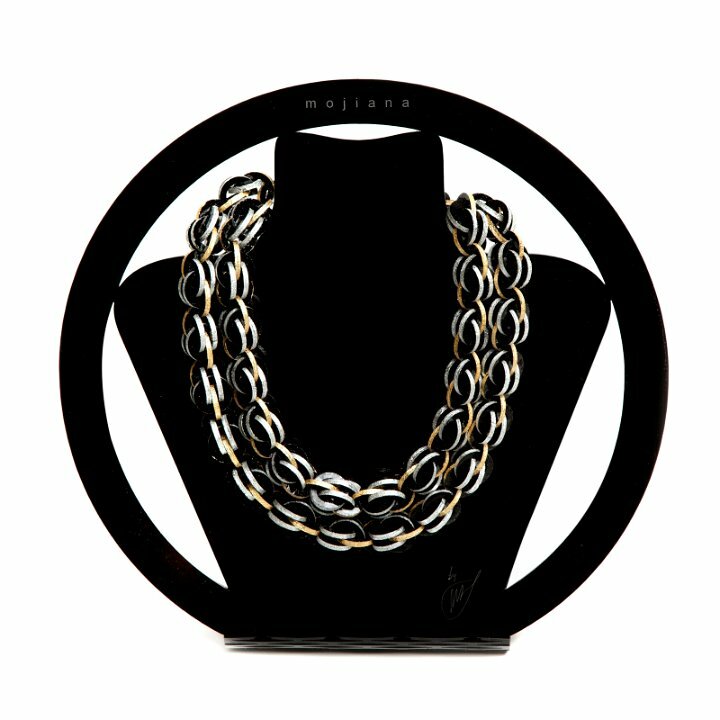 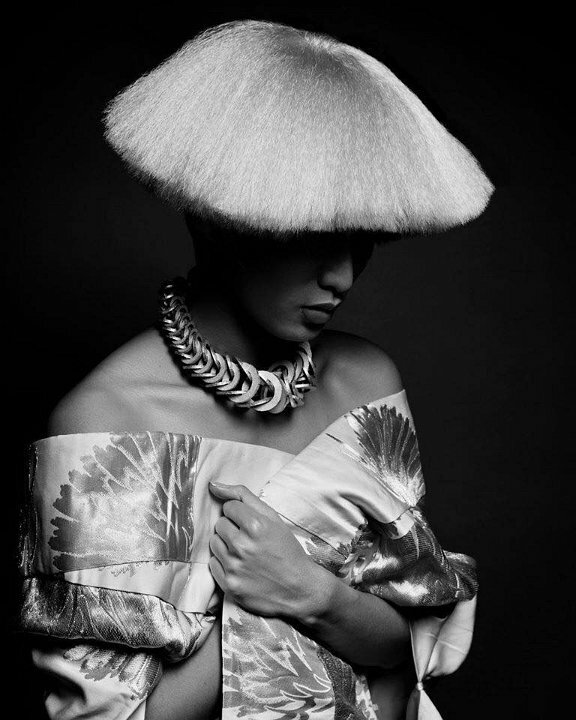 White patent leather necklace featuring black accented edges. 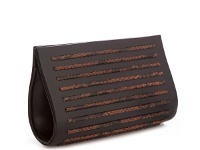 Handcrafted from rose gold patent leather, featuring black accented edges. 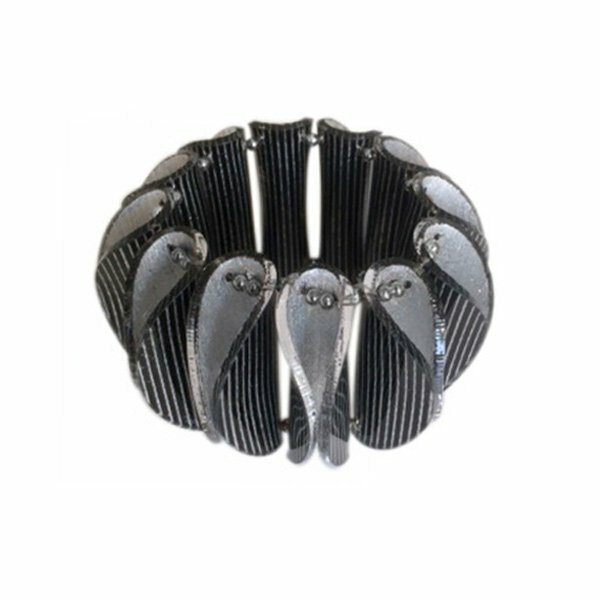 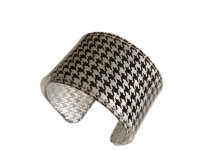 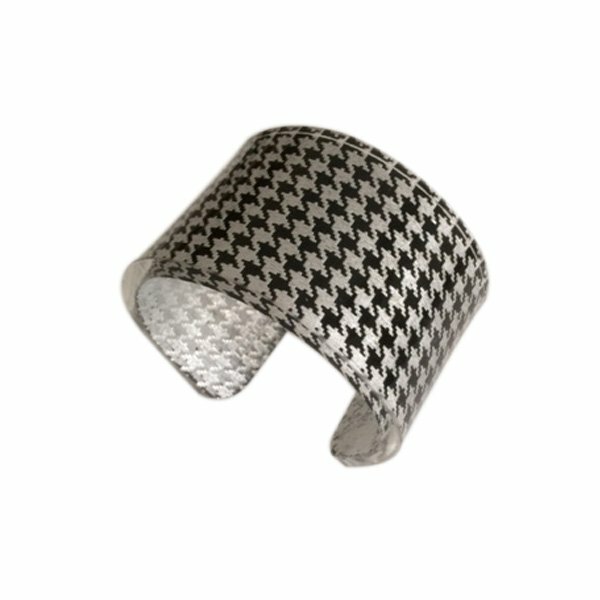 Handcrafted from pearl silver white patent leather, featuring black accented edges. 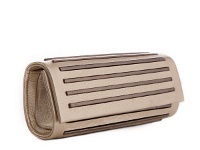 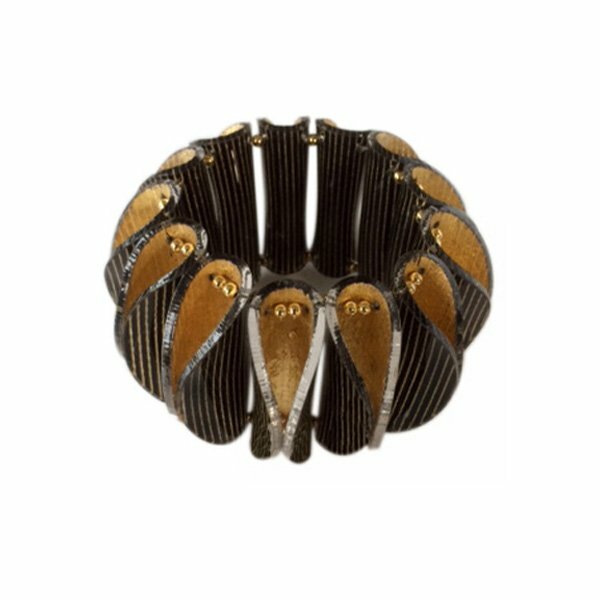 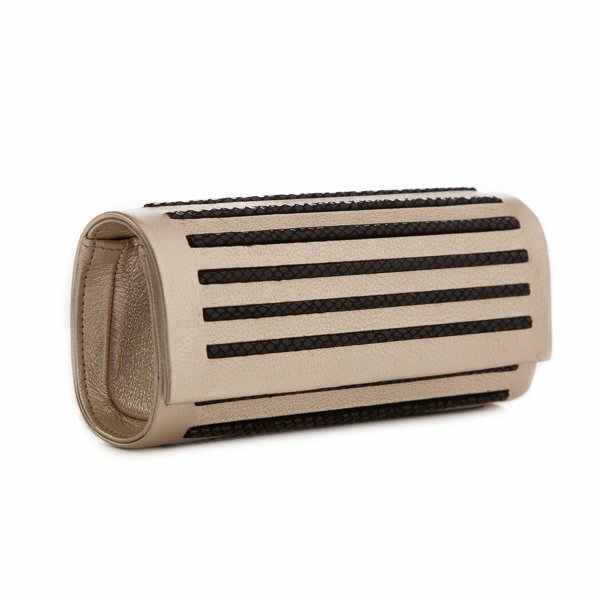 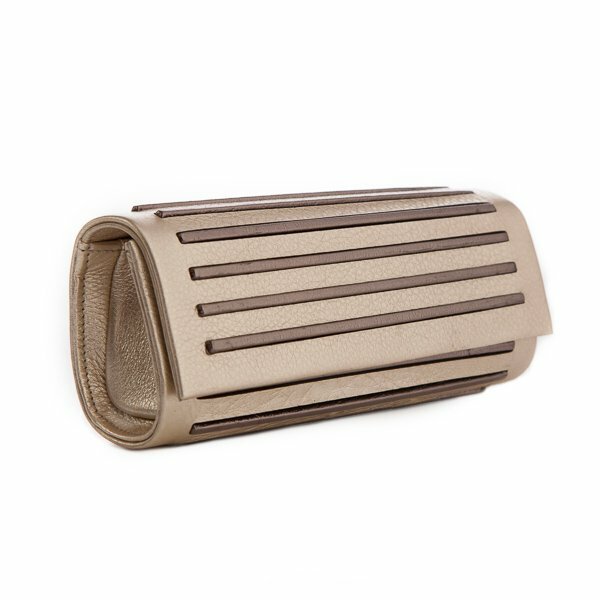 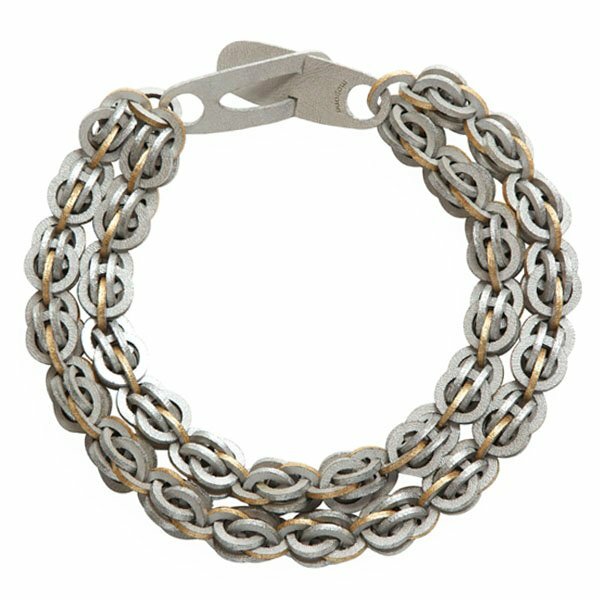 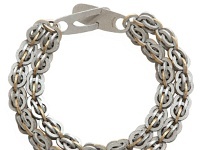 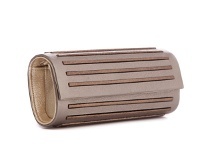 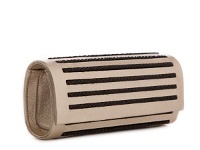 Handcrafted from shimmer pewter and champagne gold leather, accented with raised bronze leather details. 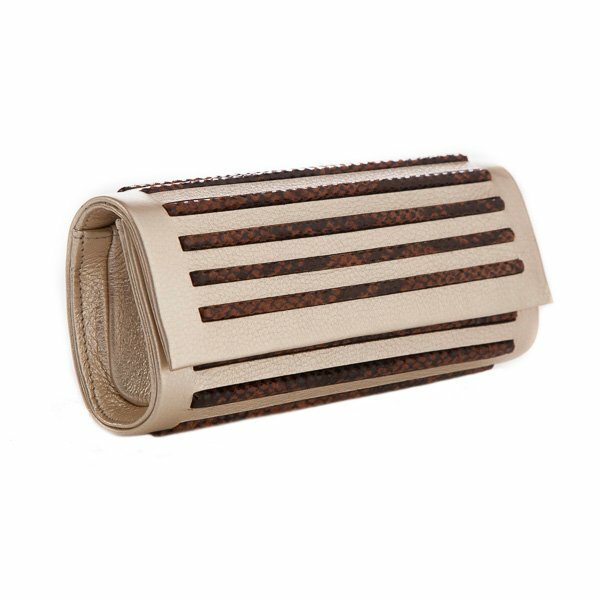 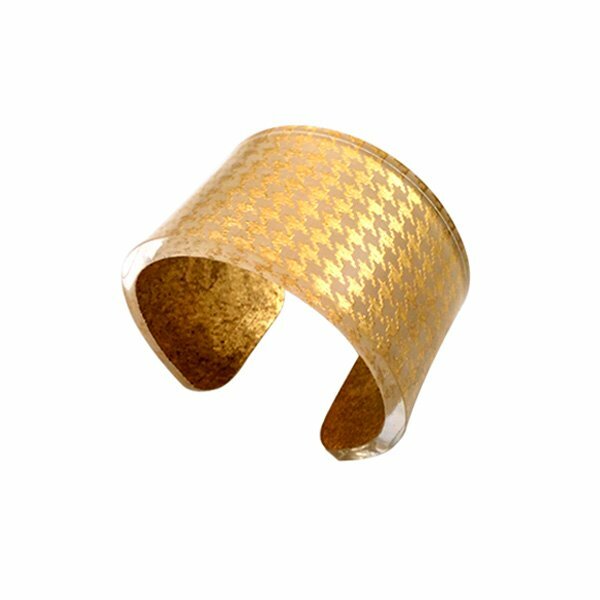 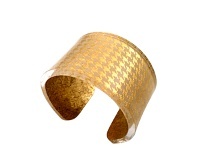 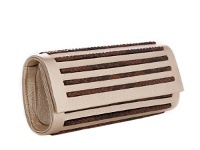 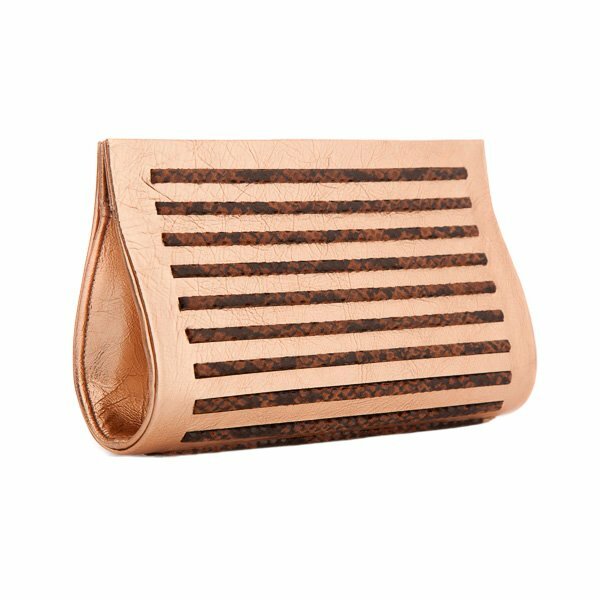 Handcrafted from champagne gold leather, accented with printed snake leather details. 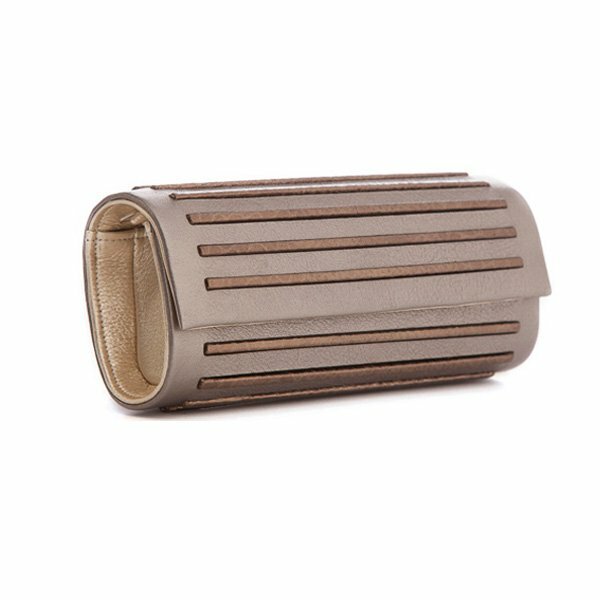 Handcrafted from champagne gold leather, accented with raised bronze leather details. 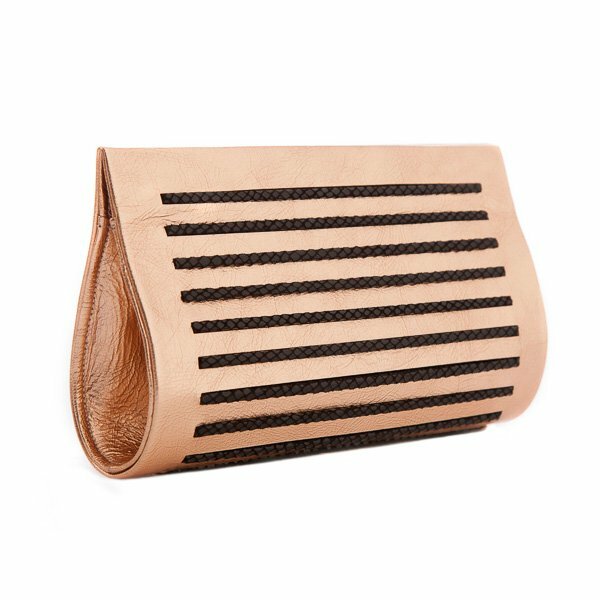 Handcrafted from champagne gold leather, accented with raised black leather details. 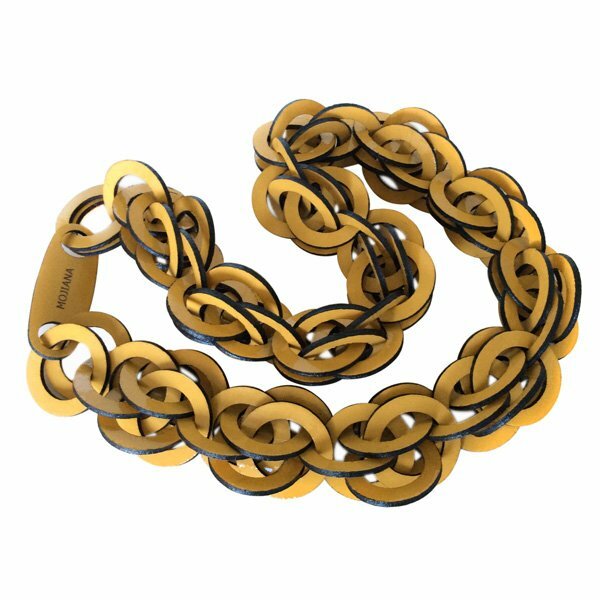 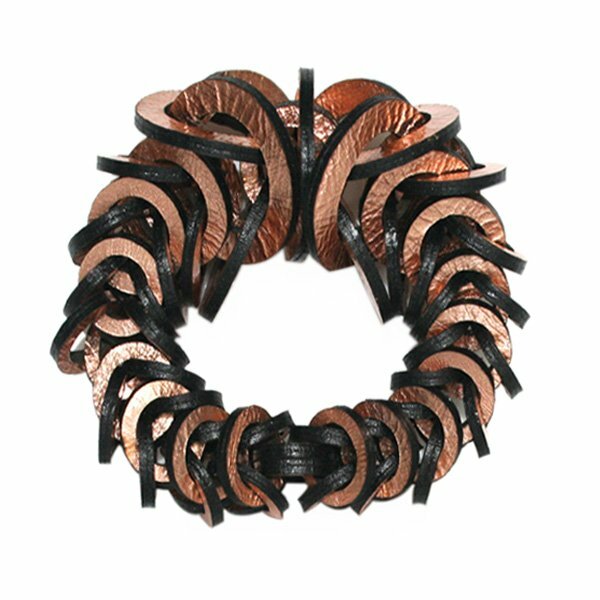 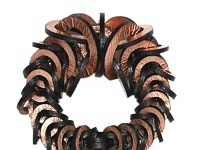 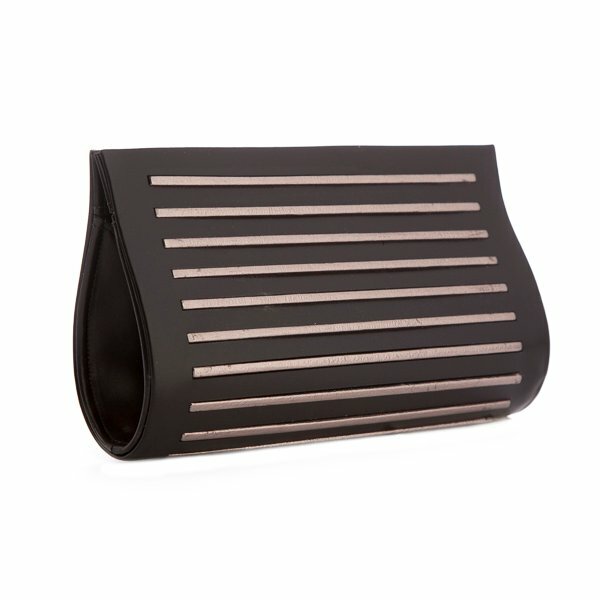 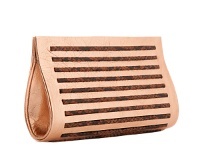 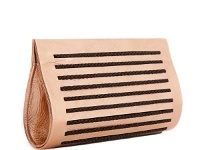 Handcrafted from metallic rose gold accented with raised black leather details. 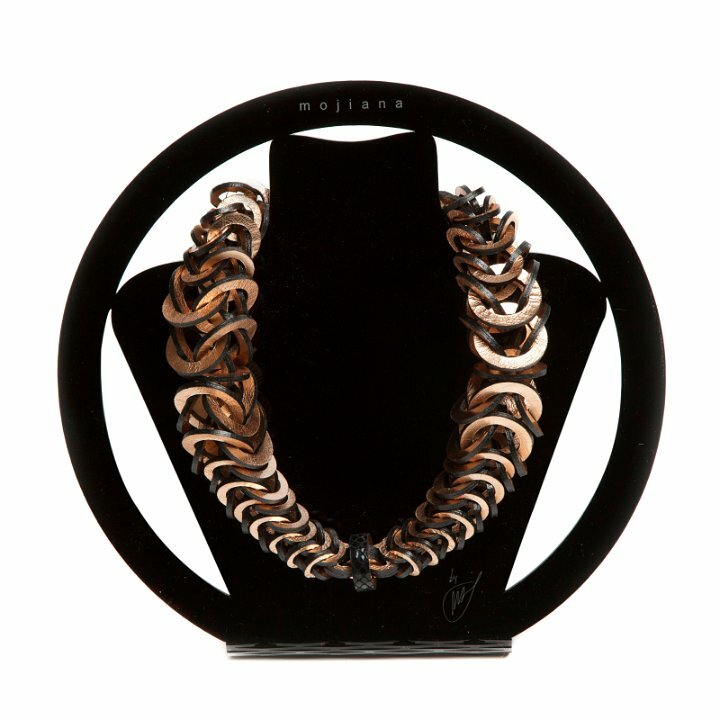 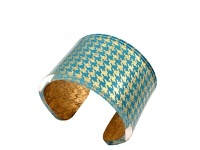 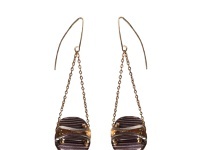 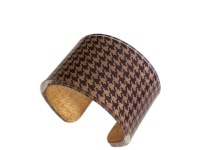 Handcrafted from metallic rose gold, accented with raised printed snake leather details. 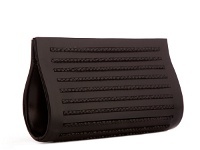 Handcrafted from black leather, accented with raised printed snake leather details. 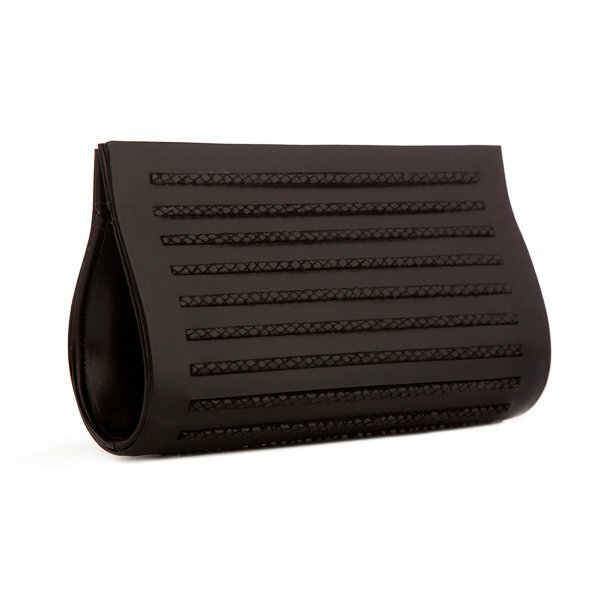 Handcrafted from black leather, accented with raised black leather details. 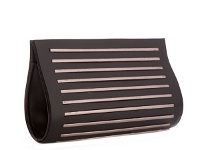 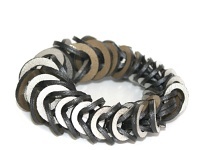 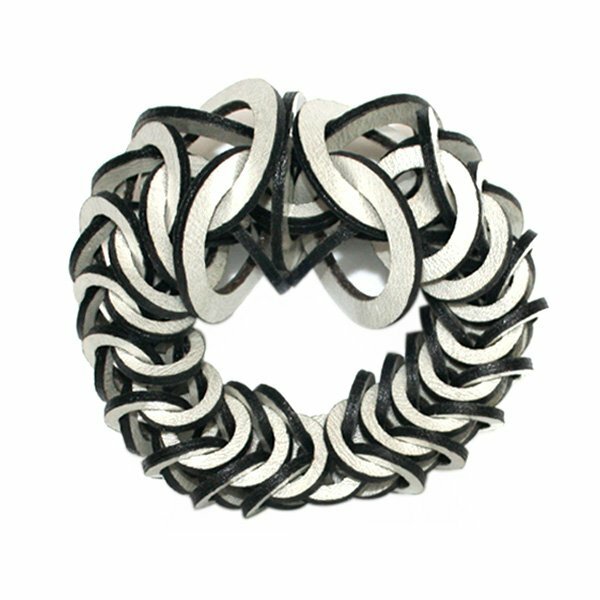 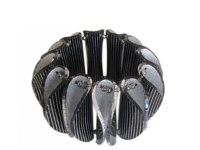 Handcrafted from black leather, accented with raised silver leather details. 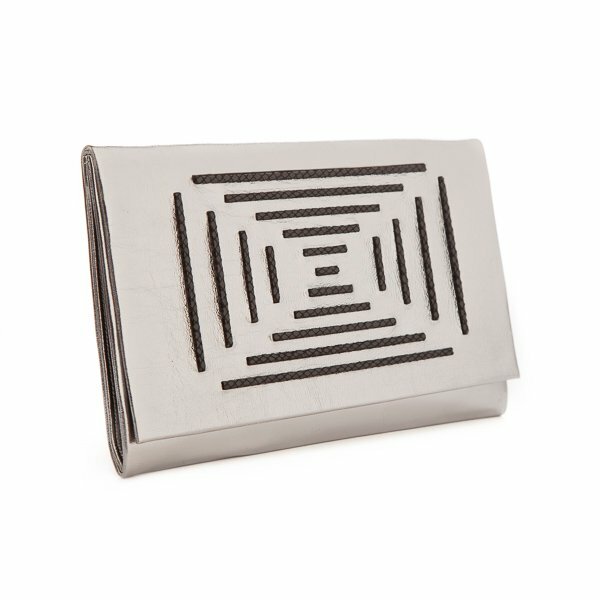 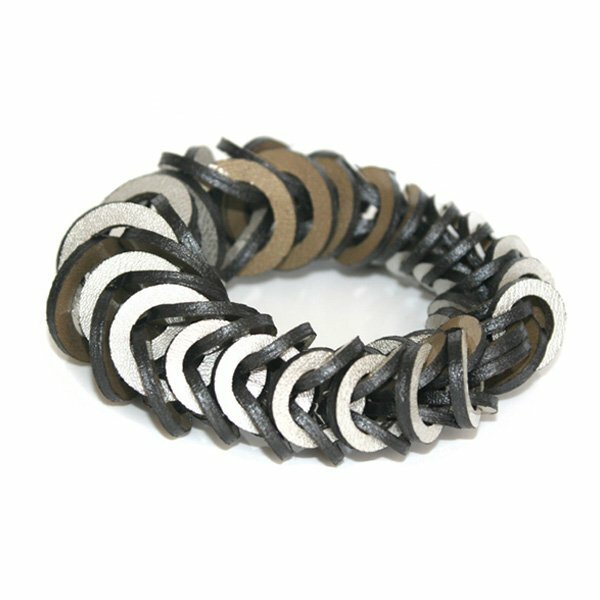 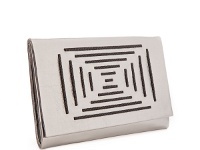 Handcrafted from pewter leather, accented with raised black leather details.